Nitrogen is a non-reactive gas. It has no color, odor or taste. Its atomic number is 7 and the symbol is N. it comprises around 78% of the Earth’s atmosphere. Nitrogen is also present in every living thing on the planet. This element is present in virtually all pharmacological drugs. In the form of nitrous oxide it is used as an anesthetic. 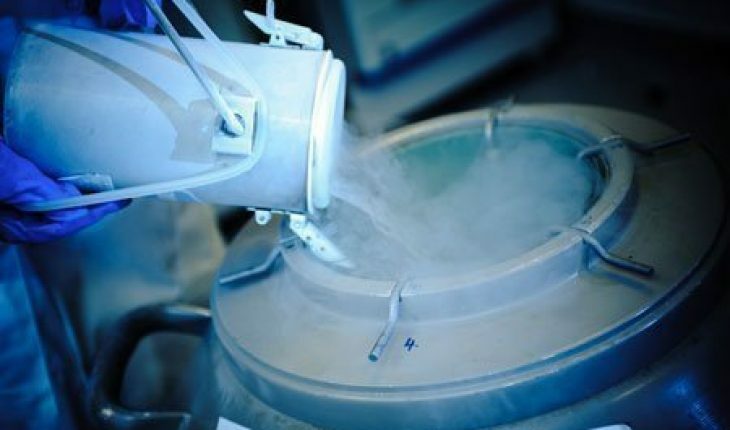 Cryopreservation also uses the gas to conserve egg, blood, sperm and other biological specimens. The CPUs in computers use the gas to keep them from heating up. X-ray detectors also rely on this element. In the latter case, nitrogen is pressurized and dried first. Integrated circuits, diodes, transistors and other electrical components use it too. Nitrogen is present in liquid explosives so they do not explode. As stated earlier, the element is present in all living organisms; plants, animals and people. It is the primary figure in amino acids, which are the building blocks of proteins. It is also the basis for neurotransmitters, RNA and DNA. The element is also required in plants and is part of chlorophyll pigment. This is what allows plants to change sunlight into energy. The same element is present in roots, leaves and grains. Plants do not actually take in atmospheric nitrogen. The element is changed into compounds that plants can soak in. The transformation process is called the nitrogen cycle. The element is used in controlling pollution. It is effective in getting rid of unstable organic compounds in liquids. Many industries use it to destroy toxic liquids and vapors in industrial tools. As nitrogen dioxide, the element is vital in the industrial sector. It also serves as an oxidation reaction catalyst. Apart from being an oxidizing agent, it can also be used as a flour bleaching agent and rocket fuel. This element is the lightest in the nitrogen group. The others are arsenic, antimony and bismuth. Nitrogen can join up with other elements. The bonds are very effective because nitrogen’s outermost electron shell has few electrons. That is the reason why it is sometimes used as a buffer gas. Since nitrogen makes up 4/5 of the atmosphere, it is pretty common. The element is vital to life, but few animals use the pure kind. Often it is used in the form of amino and nucleic acids. The element was first isolated in 1772. But scientists were aware of it long before that time. In its purest form, nitrogen can be dangerous. It can become an asphyxiant by putting oxygen out of place. 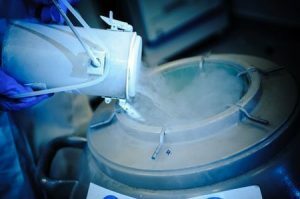 This is one of the issues with liquid nitrogen; it turns to gas when exposed to room temperature. For this reason, proper ventilation is crucial when using it. Decompression sickness usually affects divers that rely on nitrogen. Decompression sickness signs include nitrogen bubbles in the blood. This is due to depressurization. The term is applied to the combining of oxygen and nitrogen. The best known variants are nitrogen dioxide (NO2) and nitric oxide (NO). In both instances, one or two oxygen atoms are linked to one nitrogen atom. These oxides have the NOx notation. X symbolizes one or two components of oxygen variables. These elements are generated in engines. According to scientists, too much of these elements in the air causes pollution. One major cause of pollution are Volatile Organic Compounds (types of chemicals) that join NOx. These two generate smog that dirties the air. That being said, the element has many uses. Scientists are now looking at ways to enhance nitrogen minus these unpleasant elements. One of the most frequent uses of nitrogen is in light bulbs. Compared to argon, it is less expensive. Some food packages contain this element to stop oxidation. The element’s inertness is the main reason for its usefulness.